The eternal expression of the Divine Feminine element. Parvati is Shiva's consort. She is the cosmic energy that moves the universe. All-compassionate, she keeps Dharma alive with affection for those who are in trouble, obedience to the elders, loyalty to tradition and steady devotion to Shiva. She is the source of all good things to all those who have faith and follow the path of virtue. 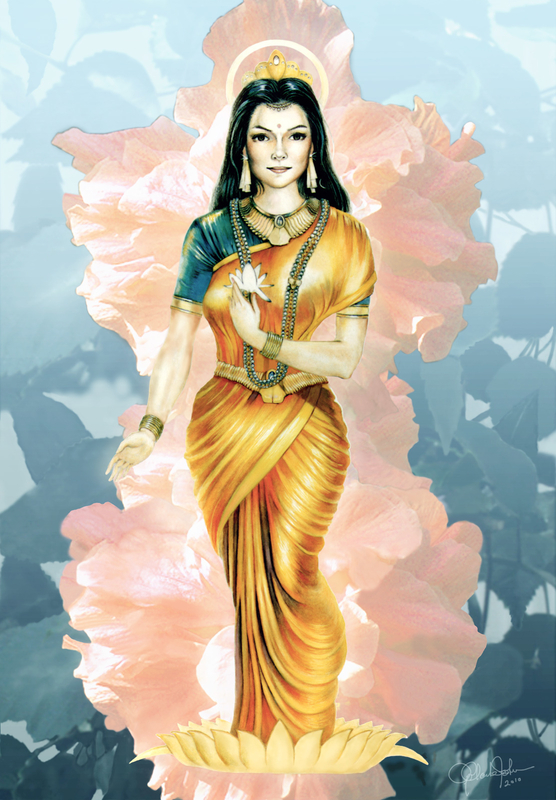 She is 'Parvati', being the daughter of the king of mountains, Parvataraja. I created the image with watercolor and gouache with the background being a composite of my photographs.